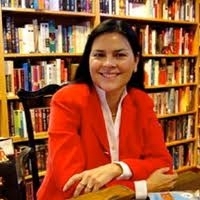 The National Press Club Book Rap with popular author Diana Gabaldon, scheduled for Wednesday, June 18, may be several months off away, but you need to act fast to ensure you'll get a ticket. Fewer than 100 remain, and they're selling fast. Gabaldon, author of the top-selling Outlander series of novels, plans to discuss the next book in the series, "Written in My Own Heart’s Blood," on June 18 at 6:30 p.m. in the Ballroom. A book signing will follow the discussion. This is a ticketed event and registration is required. Click here  to register. All attendees must have a ticket for the event, which is a fundraiser for the National Press Club's Journalism Institute. Books must be purchased through the NPC, and no outside books or memorabilia are permitted. The Club-member admission fee is waived with a pre-ordered copy of the book, an option that appears on the ticket form. Limit is one member-priced ticket per Club member. In her now classic novel "Outlander," Gabaldon told the story of Claire Randall, an English ex-combat nurse who walks through a stone circle in the Scottish Highlands in 1946, and disappears -- into 1743. The story unfolded from there in seven bestselling novels. CNN has called it “a grand adventure written on a canvas that probes the heart, weighs the soul and measures the human spirit across [centuries].” Now the story continues in "Written in My Own Heart’s Blood."